We, Ambika Clothing Co. are one of the distinguished Manufacturers of an exquisitely crafted range of Readymade Garments. Our western wears are perfectly designed for various age groups, genders and sizes of people. We are one of the most renowned Manufacturers of an attractively designed range of Readymade Garments. 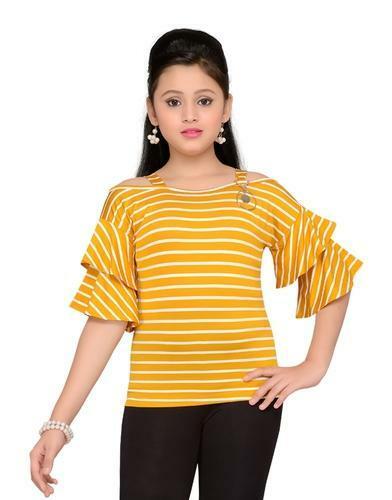 We offer a wide array of products under this range, that comprises Designer Girls Wear, Girls Indian Traditional Dress, Long Kurti, Ladies Salwar, Traditional Girls Wear, Designer Frock, Evening Western Wear, Designer Western Wear among others. These western wears are crafted from the finest quality cloth material in a well-equipped manufacturing unit. Available in attention grabbing designs and vivid colours, these products are in huge demands across the markets.